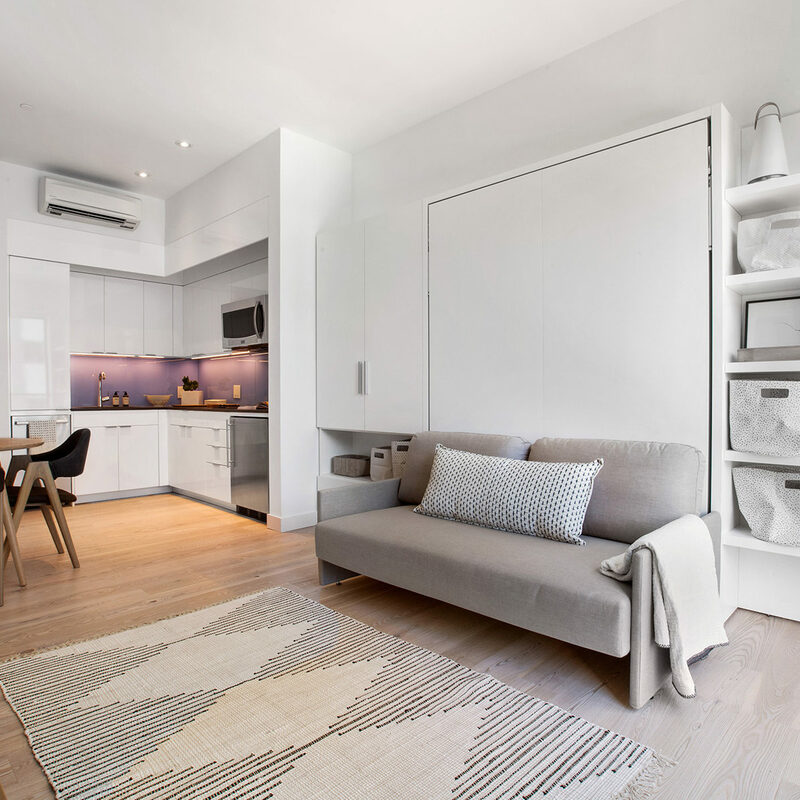 Carmel Place, New York City’s first micro apartment development is the winner of Fast Company’s Innovation by Design Award and the 2017 AIA Award for Architecture. 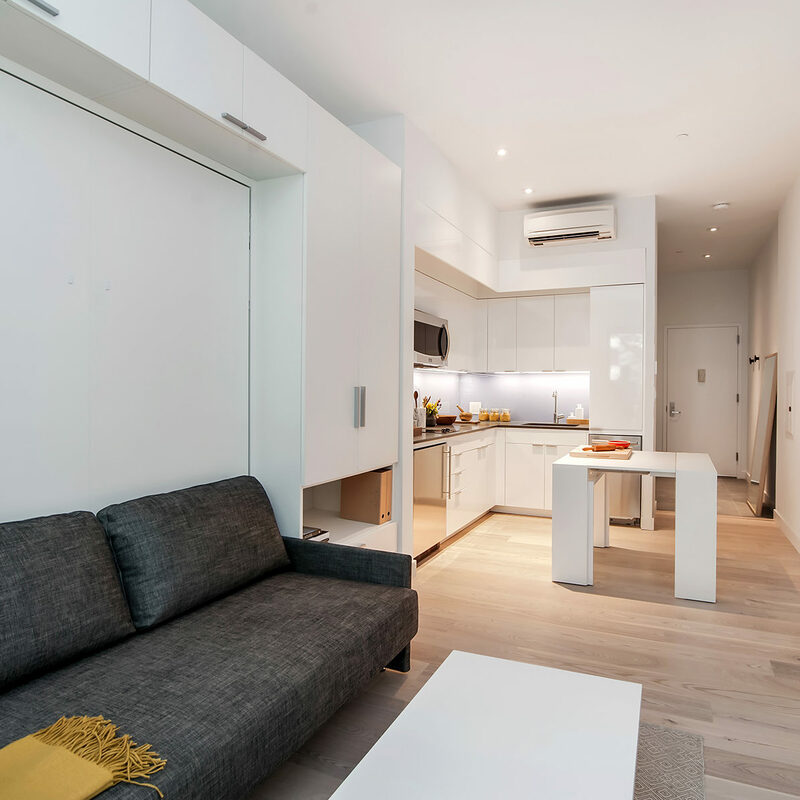 How do you build safe, legal and reasonably priced apartments for single New Yorkers when space is at a premium? One of many answers is Carmel Place. 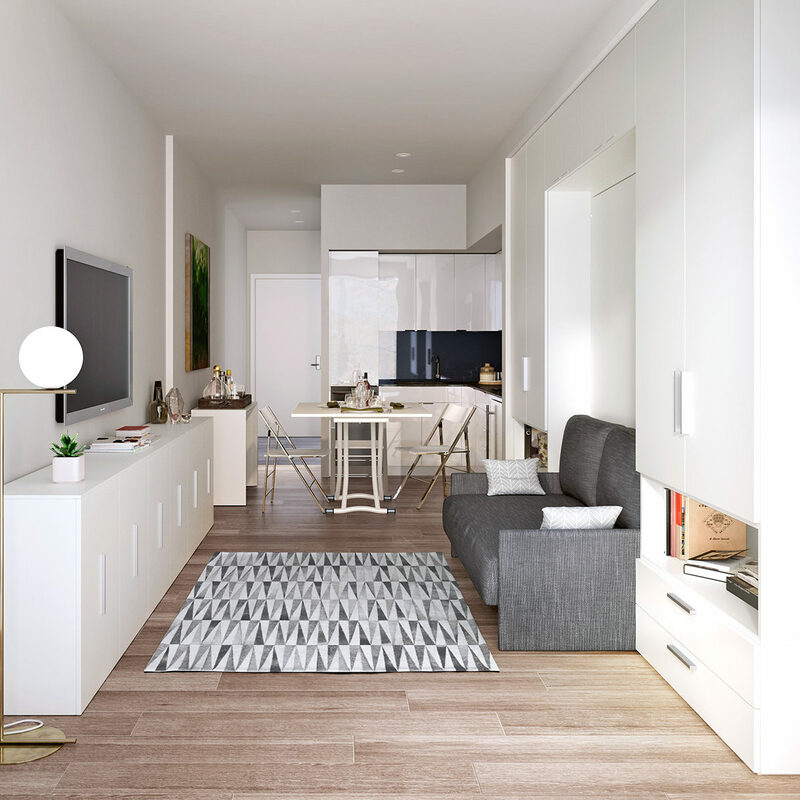 Found by survey and demand to be an ideal solution for many single people living in urban areas, Carmel Place is an exceptionally viable solution for those who wish to edit their possessions and live a simpler life with more experience than ‘stuff’. 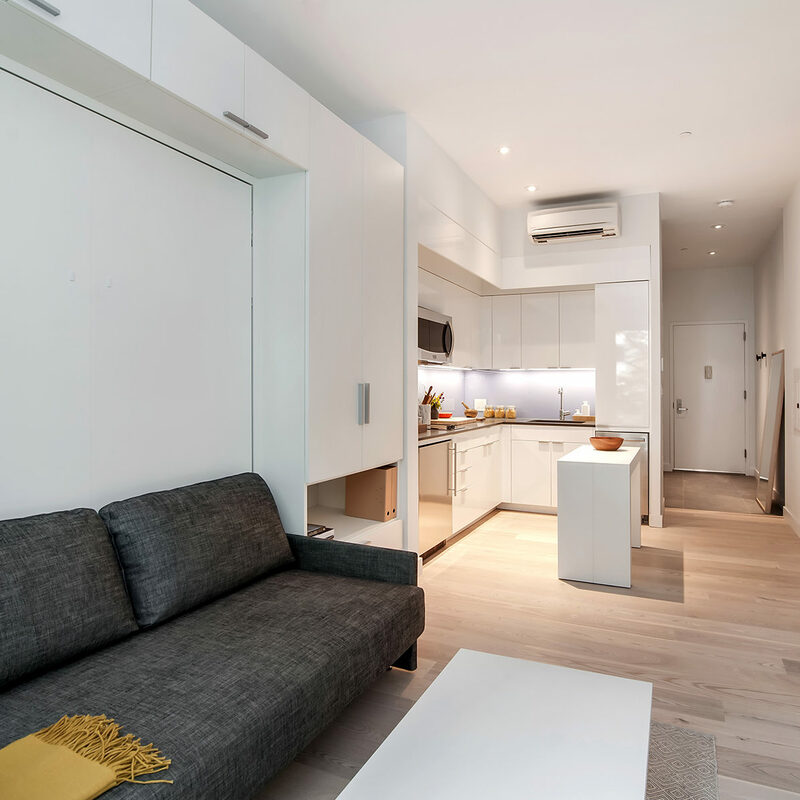 Originally known as MyMicro, Carmel Place is New York City’s first micro-unit development, a nine-story, modular building at 335 East 27th Street with 55 studios ranging from 260 to 360 square feet. 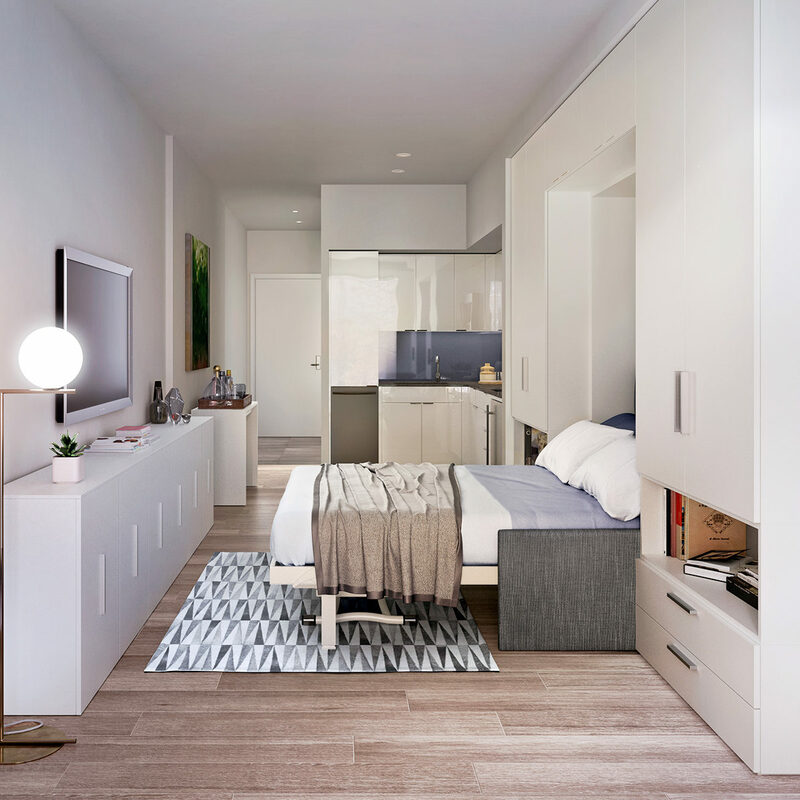 Carmel Place is the brainchild of nArchitects, the winner of the New York City Department of Housing Preservation and Development’s adAPT NYC competition. 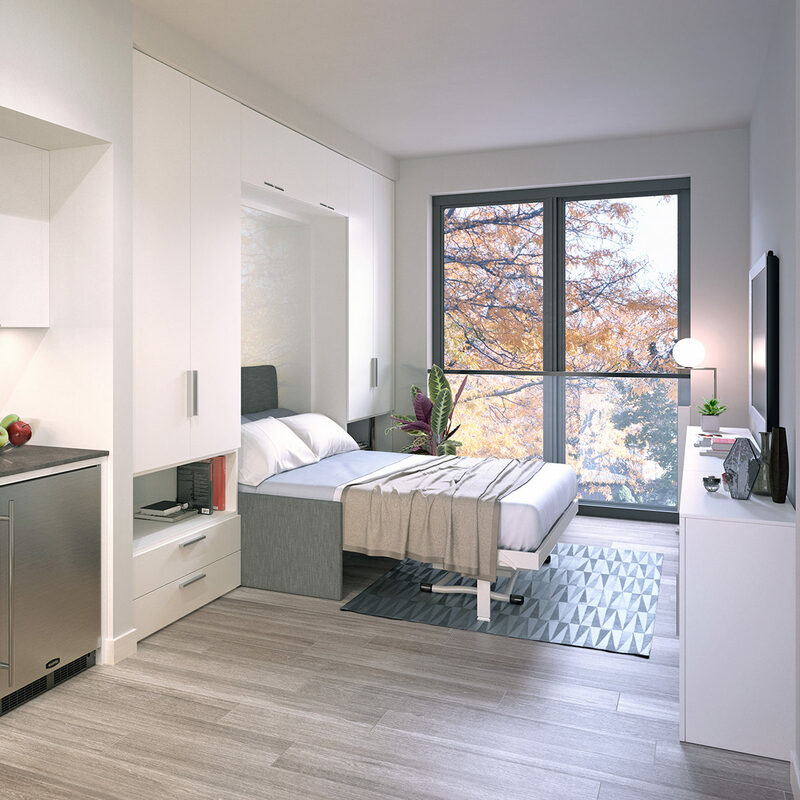 The competition was designed to create new housing models to address New York’s rapidly growing small-household population. The apartments were prefabricated in the Brooklyn Navy Yard, delivered by truck over the Manhattan Bridge and assembled on site in Kips Bay. The building includes 14 affordable units with an additional 8 units set aside for Veterans Affairs Supportive Housing (VASH). Each of the veterans’ apartments will be custom-furnished with furniture donated by Resource Furniture, including aPenelope Sofa wall bed designed in Italy by Clei, a Mini coffee table that converts into a work table or dining table, and Pocket Chairs — the same furniture featured in all of Carmel Place’s market rate apartments. Monadnock Development and Stage 3 Properties have introduced Ollie, an all-inclusive living experience to the residents of Carmel Place. In addition to the intelligently designed spaces, the Ollie amenity package includes weekly housekeeping, Wi-Fi, cable, and access to regular social events to form a sense of community. 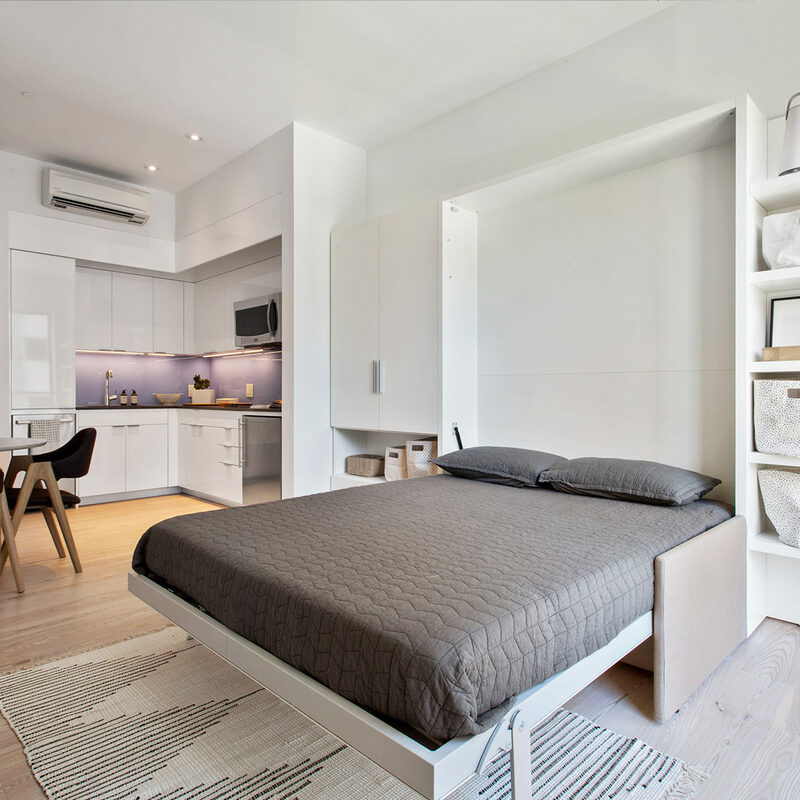 Learn more about flexible and space saving design solutions in residential developments.